Dr. Oz and Dr. Sue Varma already discussed the personality type quiz for type A and type B personalities and they went over the health downsides and the health benefits of each personality type. If you do not fit into those personality types, keep reading to find out how you fit in the personality types below. Dr Oz: What Is a Type C Personality? Answer the three questions below if you don’t fit into a type A or type B personailty. Remember to use the same scale you used for the previous personality types and rate each statement from 1 to 5, with 1 being strongly disagree, 3 being neutral and 5 being strongly agree. I am unlikely to confront people if they upset me. I am sometimes relieved if someone cancels plans. I often put other people before myself. Dr. Oz and Dr. Sue Varma went over the personality traits of a type C and a type D personality and went over the health risks associated with both types. If you answered with mostly 5s then you are type C personality. Dr. Varma said type C personalities tend to be passive people pleasers who put the needs of others ahead of their own. They are also homebodies who like to suppress their feelings. These types of personalities are also very good with numbers and very analytical but they’re reluctant to open up about their feelings. A good example of this personality type is Rose from The Golden Girls. Dr. Varma said type C personalities tend to be shy which leads to them having the weakest immune system of all the personality types. They also tend to bottle up their feelings and find unhealthy ways to comfort themselves with food and alcohol, among other unhealthy ways to release their emotions. Dr Oz: What Is a Type D Personality? Type D personality is a brand new personality type that was recently discovered. 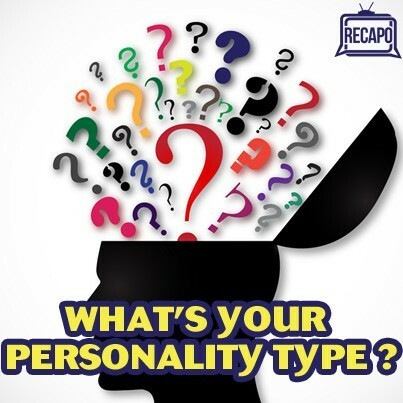 Answer the questions below to find out if you fit into this personality type. Remember to use the same rating scale as above. If you see an acquaintance at the supermarket are you likely to say “hi” first? I usually look forward to family events, like Thanksgiving and weddings. If I am stressed I am likely to tell my close friends. I spend the majority of my time being happy and believe most problems will work themselves out. If you responded with mostly 1’s then you are a type D personality. Dr. Sue Varma said type D personalities are usually pessimistic about their life and avoid social interaction while spending a great deal of time suppressing their emotions. Dr. Varma explained that type D personalities are at the greatest risk for cardiovascular problems, which doctors though was the case for type A personalities before the type D personality was discovered. Dr. Oz said they have the biggest risk for a heart attack because they do not deal with emotional stress in a healthy way.